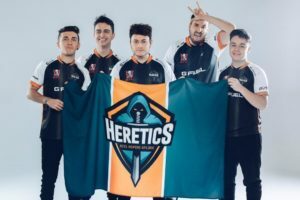 At the beginning of the Black Ops 4 season, the Spanish team of Heretics started to send shockwaves through the top level of European Call of Duty. Despite winning the online 2K tournaments, many dismissed the team as just “online” players that wouldn’t amount to much when competing at the Open events and they were proved somewhat right when the Spaniards placed 17-20th at CWL Vegas. Move forward to the CWL Pro League Qualifier and the very same team looked in fine form, defeating Lightning Pandas, G2 Esports, Tainted Minds, Fact Revolution and compatriots Movistar Riders to book their place in the league for the season. The roster consists of Alejandro” Lucky” Lopez, Juan Antonio “JurNii” González, Adrian “MeTTAlZz” Serrano, Endika “Sukry” Andres and Jorge “MethodZ” Bancells. MethodZ has been competing in Call of Duty since 2012 and has experienced varying levels of success since the Battle of Amsterdam back on Modern Warfare 3. From an international perspective, MethodZ showcased his skills at the 2015 Call of Duty world championship, where his Gamers2 roster finished in the top sixteen, ahead of TCM Gaming and Epsilon who were considered to be leading the European charge at the event. His wealth of experience and talent will be extremely important for Heretics this season. 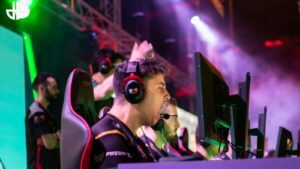 With four young and relatively inexperienced players alongside him, his leadership qualities are going to be heavily relied upon in what is set to be a huge season for Spanish Call of Duty. 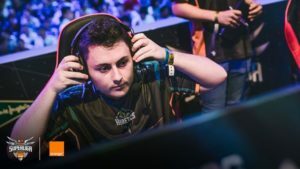 The pairing of Lucky and JurNii have been competing with each other since 2016, where they dominated the domestic Black Ops 3 season under Giants Thunderkids. Now they’re old enough to compete in the CWL, their ability to slay their opposition is often unmatched and is the reason why Heretics can compete with the best teams in the respawn game modes. The focus on slaying fits in well with the fast nature of Black Ops 4. Their ability to fully utilise the map boundaries combined with the sheer speed and aggression they play with makes them a very deadly duo indeed. Aged 18 and 19, the skill ceiling for these two players is immense and they have a chance to excel on the international stage this season. The future is very bright for Spanish Call of Duty, with these two leading the way. With most of the team being in their late teens, Heretics have stumbled on an extremely passionate and motivated team that is destined for longevity in the Call of Duty esports scene which is very rare indeed. As the future stars of European Call of Duty, the Spanish side has an incredible amount of potential that is yet to be fulfilled. In order to achieve their full potential, a move to North America must be considered. There would be no need to travel overseas on a regular basis and the team would have access to practice against the top North American teams. We’ve already seen teams from the UK, such as Reciprocity and Red Reserve, make this move, and whilst the CWL is based entirely in North America it seems the best option for players to get the practice they need to consistently rank amongst the elite. I expect Heretics to spring multiple surprises on some of the more established teams that are in their pro league division. As the league progresses, the Spaniards are only going to get better as a team thanks to a better quality of practice meaning that they should not be taken lightly by anyone. Heretics have the weight of Spanish Call of Duty on their shoulders. A strong performance this season could be the catalyst for more new and exciting players working their way through the ranks which would be amazing for continental Europe. If the Pro League Qualifier is anything to go by, Heretics are most certainly a contender for the best team in Europe and could well be challenging the heavyweight North American rosters by the time the world championship comes around.